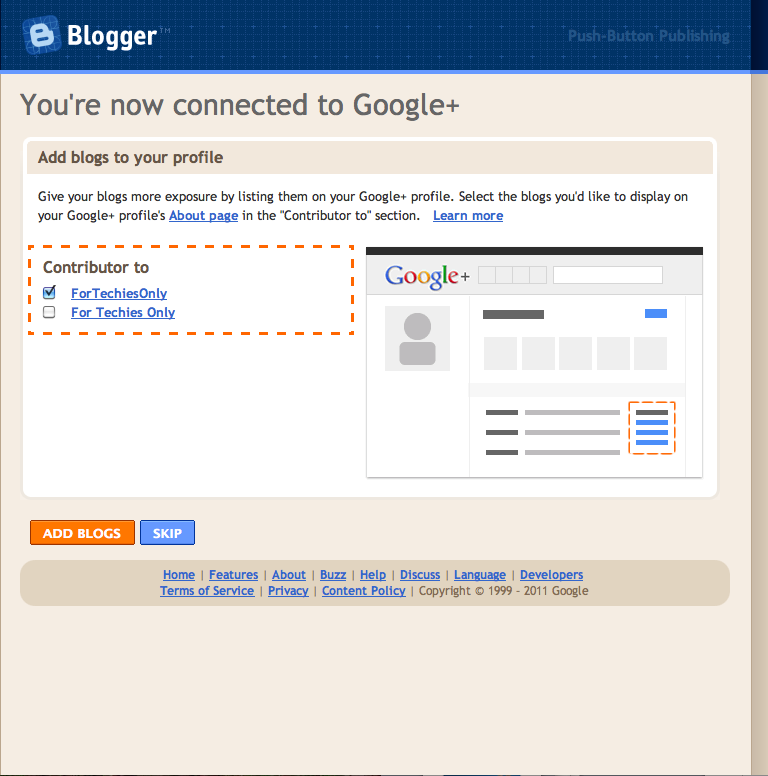 Just Discovered draft.blogger.com and i must say i am impressed. #1 the new UI is inline with the rest of the new UI that is being propogated across Google's Product line. 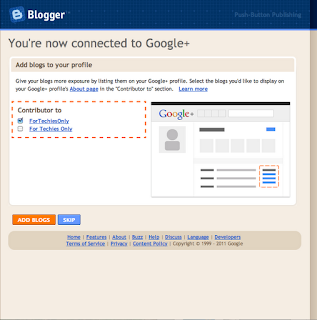 - draft.blogger.com feels consistent with the new google docs, gmail, google + UI. 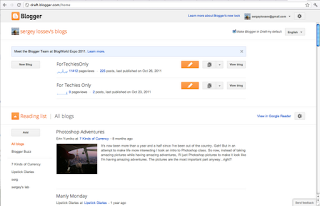 #2 a new G+ integration feature allowed me to get a "contributor to For Techies Only" link up on my G + profile. Something that i have been wanting to do for awhile.